I had often seen bloggers rating other bloggers on the basis of metrics like page rank, alexa rank and mozrank. The thing about me is that, I don't believe in judgement on the basis of these metrics, but they have their own effects on traffic and earnings. In here we are going to cross evaluate google’s pagerank metrics and SeoMoz’s MOZRank. It’s 2014 and it’s time to bid goodbye to google page rank and to say hello to Mozrank. There are many reasons why i believe Google pagerank is an outdated metrics. 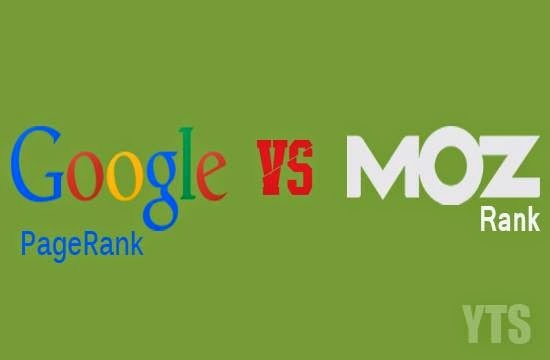 Come let’s check out the differences and similarities between google pagerank and mozrank. Later in 2013, google itself confirmed that they are never going to update pagerank,so I think it’s the best time to say goodbye to pagerank. Google pagerank is nothing but an algorithm developed by google to rank websites. Google pagerank mainly depends on the number and quality of inbound links. It gives the relative reputation of your blog. Higher the pagerank means, higher the reputation. Pagerank is updated 2-3 times a year. Nowadays pagerank is considered as an indefinite way to rank blogs. Google itself has confirmed, that there will be no updates from now on. So I don’t think it is fair to judge a blog on the basis of pagerank. The main difference between the two is, pagerank is purely based on the quality of backlinks and mozrank is based on the popularity of the blog. Come let’s now check out what a mozrank is ? Mozrank is a metrics developed by SEOMoz to evaluate blogs. Mozrank is purely based on the reputation and popularity of the blog. There are several reasons why I think Mozrank has an added value over google pagerank. There are several reasons to point why mozrank is better than pagerank, let’s check it out. Pagerank gives you an approximate value, while SeoMoz gives you much accurate value, for eg (mR : 3.64 and PR : 4 ). Look the difference between the two values and judge which one is better. Mozrank is updated frequently while pagerank is updated once or twice a year. Another important thing about mozrank is that their ranking system is improving rapidly but in case of pagerank google never cares for it. Pagerank is evaluated on the basis of size, last updated time, no of links, quality of links etc, whereas mozrank depends on popularity of the blog, link popularity, traffic, quality of links and much more. These are some of the main reasons why I think Mozrank is better than pagerank. There are many other reasons too. Google webspam head Matt cutts have confirmed that pagerank is still important, but bloggers mustn’t get obsessed with it. Since google is not updating their toolbar frequently, their values are old and inaccurate. PlayStation is one of the most awesome and prominent gaming consoles. I have seen many gamers who are just crazy about PlayStation and its games. The PlayStation has its own official blog, where any latest updates about games, any news related to PlayStation, reviews on latest consoles and games of PlayStation publishes there. That blogs where all these updates are recorded are known as PSN Blog. PSN blog are the PlayStation’s official blogs. PSN blog can be used to get the latest news, updates regarding PlayStation. There are number of PlayStation’s lover, who are simply crazy about games and gaming consoles particularly PlayStation. The PlayStation lovers always want to play something new and innovative technology in the gaming. So, they always remain in the seek of new games. They always face trouble to get the latest authentic and true updates about games of PlayStation. The most of the updates of games of PlayStation on different blogs which are not linked to PlayStation official blogs, share unauthentic and false news. Those blogs which share the fake and unauthentic news are only concern with the promotion of their blogs and only want to increase their blog’s traffic and for that they share such lame and fake updates about PlayStation. Therefore, I have decided to write a tutorial to find PlayStation game updates on PSN blogs which shares the complete authentic updates, since, it is an official blog of PlayStation. I have described a brief account of PSN Blog. Let me elaborate it more for you guys. PSN Blog are actually the official PlayStation blogs which gives you; the latest news, latest updates about games and consoles, video reviews of games, trailers of games and much more stuffs related to PlayStation. The great things about PSN Blog is that, you can pre-order the up-coming games and also play the demo of latest games and after that if you like you can order the full version. This demo service seems to be an invitation to treat where gamers can try the latest games and order it after liking, isn’t it awesome. Why to refer PSN Blog for Game Updates? Before, moving on to the tutorial; this question may strike the mind of many people. So, let me clear this query first. It is recommended to refer PSN Blog for game updates because PSN Blog are the official PlayStation (PS) blog, where you get the authentic updates for different PS Games. Furthermore, the update or news about game which is published on PSN blog is trust worthy and based on complete truth. So, I would also suggest you to use PSN Blog for game updates. Another benefit of using PSN Blog is that you can try the demo of your favorite game before ordering, this benefit is furthered mentioned above. You get the complete background of PlayStations games which are going to be released or have released. Now, it is time for action. After describing much about PSN Blog, now it is time to learn that, “how to find game updates on PSN Blog”. The task of finding game updates on PSN blog is not a difficult one. You are supposed to follow the below simple steps, and you are all the way through it. After that you have to select PSN from the top menu list on the left side of the site’s home-page. Afterwards, you’ll be redirected to PSN Category of PlayStation blog. Additionally, you can dig little more in PSN category by browsing the tags given on the same page. You will be able to see the latest game updates of PlayStation on the PSN Category and the update that you’ll receive there will be authentic and trust-worthy. The game updates which you receive from PSN blog can be shared with everyone without any doubts or confusions, as they are completely authentic. If you just want to know about the latest games then you can simply click the Games from the side bar of the PlayStation blog’s homepage. Then you’ll see the different reviews on different games of PlayStation. You can also share your views on every game of PlayStation on PSN blog through the comment box. Your views and remarks will directly be accepted and welcomed by the developers of PSN blog, and may your views can help the developers to overcome the lapse. That was the simple steps which should be followed to get the most authentic updates of PlayStation games, without having a doubt of fake news. So, friends I hope you all have completely understood about PSN blog and have been familiar with the method of finding the game updates on PSN blog. I would recommend you to use PSN blog to know about the PlayStation game updates, as they are the officials and we know that official sites always share the best and truth about their products. Additionally, you can use PSN blog to order the new game’s DVDs, since you’ll receive completely authentic and original DVD’s of game. As, PlayStation itself distributing the DVDs. PSN Blog are also known as PlayStation store, likewise Google store or any other online stores. 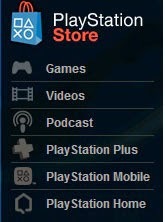 PSN Blog or PlayStation store can be used to get the latest game updates, game DVD’s and much more. 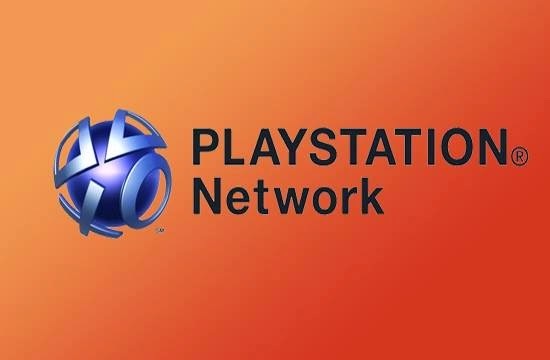 If you have any queries left related to PSN blog and to find game updates on PSN blog, then you are free to leave your queries in the comment box. I shall try to clear your all related queries, as soon as possible. Furthermore, if you believe that our efforts are appreciable then do appreciate us by liking and sharing us on social media sites and spread our voice across the globe. Your shares and likes mean a lot to us. So, do not stop your fingers and kill the like and share buttons. YouTube is the world’s No: 1 video streaming site, which provides videos on almost every topic of life. The developers and entrepreneurs use YouTube for the business perspective. They develop the videos for their business for more exposure of their business and for that they are supposed to rank video on YouTube. If you want to get more views on your video on YouTube then you have to rank video on YouTube. When video is ranked on YouTube then it proves to be the best source to get the more traffic for the websites and more exposure for the business. Therefore, I am writing on this topic that, “how to rank videos on YouTube”. It is said that, “First Impression is the last impression”. So, the title is the first impression of your video. The title is the thing which compels the visitors to click on your videos, so, it should be more catchy and unique. You should write a clear, awesome and appealing title for your video. Additionally, the most important thing that you should write the real title. Write what you are providing. After title the thing which can take a part to rank video on YouTube is Description. After titles people use to see the description of the video before watching it. You should write description of some paragraphs with creativeness and smartness about describing your videos. You have to use your keywords in the description in order to rank your video on YouTube. After description do not forget to add tags. If you want to rank video on YouTube then you are supposed to add minimum 10 tags with your each video. You have to add the relevant tags with your videos. If you’ll not include the tags with your video then it will not get ranked at all. So, tags are the important section that can be used to rank video on YouTube. YouTube has transcribe function which uses transcription to rank your videos. You have to transcribe your videos and upload the text files where you are supposed to add your target keywords. It will help your video closed captions which will help your videos to rank better on YouTube. The other important thing to rank video on YouTube is traffic and the traffic on new videos or authorities can be drawn by promoting. So, promoting your videos can be helpful to rank videos on YouTube. You may use social media sites to promote your videos for free. I would suggest you to use inbound links. You should link your older videos with your newer videos in order to make them fresh as well. 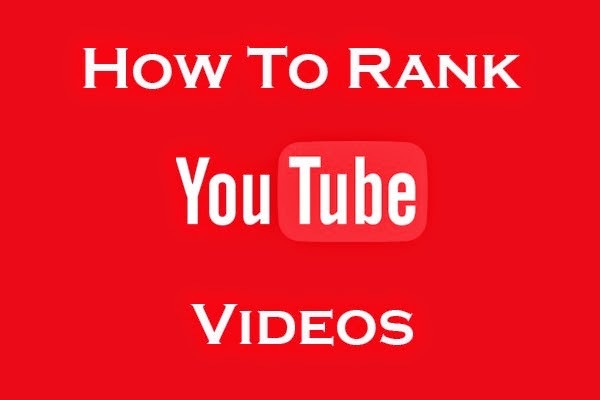 This is the most awesome and professional tactic that can be used to rank video on YouTube. This is the tutorial which can be used to rank video on YouTube. I hope that these tactics will help you and will solve your queries. If still you have any questions or queries then you may lend your queries in the comment box, I shall get back to soon. If you have liked it the do not forget to share this with your circle. Blogger is improving its platform day by day by putting different features to make it more compatible and optimize for the users of Blogger. Hence, this time Blogger has introduced another new feature for making your blog more optimize which is called “Campaigns”. 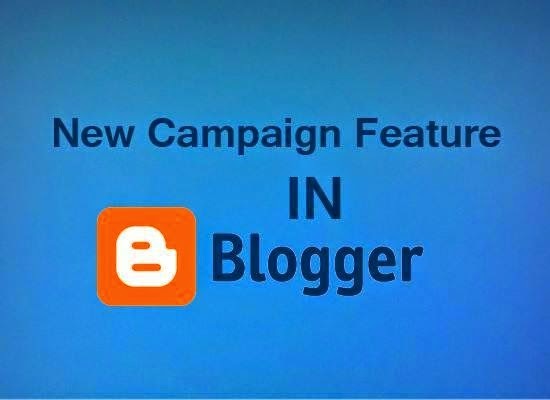 The Campaign feature in Blogger can help you to expose your blog to many more users by advertisement. Let me explain more about Campaign feature in Blogger, this feature allow you to advertise your blog with Google when you’ll use this feature then your blog will start appearing in the search results of Google with every related query and when the users will come to your site then you’ll have to pay to Google for that traffic. Simply, it is a kind of advertisement of your own blog in the World’s most prominent search engine. After knowing about the Campaign feature in Blogger, it is time to learn about applying it on your blogger. It is not a difficult task to do, you have to follow the simple steps that are elaborated below and you are all the way through it. Then you’ll have a form like below one, where you have to add the necessary information, but remember that if you have already an Adword account then you are not supposed to fill the form you can directly login to your account and seek for Campaign option. Afterwards you have to create a new campaign and then you have to give a name to your Campaign it may be related to your blog. Additionally, you have to fill out the complete form and most important thing you have to set the budget for your campaign that budget would be on per day basis and in last Click on Save and Continue. Now the most important thing starts, it is time to design the ads for your blog. You are supposed to give an attractive headline and an appealing description for your ad to make it look good and compel others to click on your ad ones and in last do not forget to add the URL of your blog where you are supposed to redirect the traffic from search engines. You may see the live preview of your changes with the ads and also do not forget to include the related keywords tin order to receive the targeted and right traffic on your blog. And then your ads will start appearing, you may delete your campaign in future. That was the campaign feature in Blogger. I hope you have understood completely. 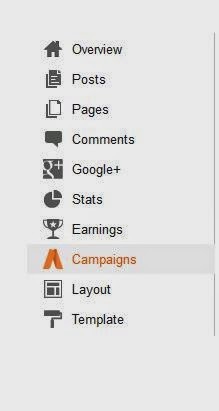 If you have any queries related to Campaign feature in Blogger, then you are allowed to lend it in the comment box. I shall get back to you soon. Till than keep sharing and liking.